At the beginning of last year (2013) I had no idea of the power of Twitter in education. I saw Twitter as a place where celebrities tweeted what they were eating and doing. I did not see how this would benefit me as a learner or my students in the classroom. It is amazing the change one year can make. I now can not imagine teaching and learning without Twitter. It was suggested to me numerous times to join Twitter by a fellow colleague (@mr_aylen). After seeing the improvement in his teaching practice and new fantastic ideas he was implementing I finally had my arm twisted to take a look. I said I would give it a week to see what all the hype was about. I had my doubts. Once I signed up, the best piece of advice was to keep my profile professional, meaning not to add celebrities and to only have the account for educational purposes. Within a week I had connected with more teachers than within our own school. Each and every teacher I connected with was willing to share and provide advice and support. I was only in my second year of teaching and have a passion for integrating technology in my classroom and providing experiences for my students to learn. I sometimes found it hard to come up with a variety of engaging lessons. I was beginning to feel myself getting into a routine of the same lesson routines and I was bored to be teaching them. So I thought that I would give it a go and Tweet for help. I was amazed at the support and advice I was given from teachers not just in Melbourne but from around the world. From that day on my opinion on Twitter had changed and I was addicted. Twitter has helped me to start my own class blog, helped me in using and implementing GAFE within my school. I also have developed twitter relationships with other teachers and their classes that my class enjoyed Skyping with sharing our learning with one another. I have been a guest moderator in a chat, and connected with hundreds of teachers all around the world sharing what I am doing in my own classroom and learning from others. I could not recommend highly enough the use of Twitter to all teachers no matter how much experience you have. The connections you can make and learning that can be achieved through Twitter is amazing. I am continuing to learn daily from Twitter and my students are gaining an understanding on how to use social media in a positive way to enhance their own learning. Hi Eleni, love your blog! I find it very relatable. I’m also in my 3rd year of teaching with 1:1 iPads (this is our second year). I use Twitter regularly for my own PL but am looking to have more of a presence on Twitter.. how do you find out when they are taking place and get involved? Find out about the chats I mean. Whoops! Your blog is looking great Eleni! Another great way to share your learning with others. I agree great work! 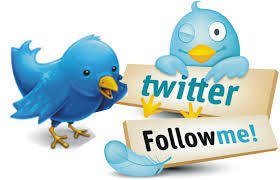 I have just started getting more involved with Twitter using it as part of my PLN. Like you I have kept my account for educational purposes. Blog looks superb. Great Work! Congratulations! Your blog resonated with my experiences as well. I like your 21st Century Learning Space heading because it works in so many different ways. Thanks for taking the time to check out my blog. The connects and learning made on Twitter continue to amaze me.